What is the salt for? I made them last weekend. I might have added a little bit more salt. When I had the first bite, I tasted the salt. Overall, it is yummy, especially the cranberry. Thank you again to share the recipe. The salt is to bring up the flavours of all the ingredients. You just need a small pinch. Otherwise it turns the sweet taste into savoury. 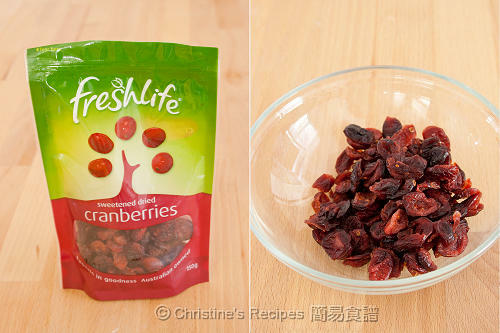 Yes, the cranberry is the highlight of this homey snack. Can't omit it. Thanks for your reply related to the added salt to the muffins. I've got one more question for you. 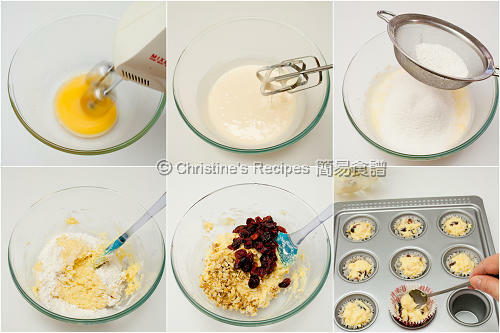 I have a recipe to make blueberry muffin using sour cream (yum yum yum). Can I replace the blueberry with cranberry? Sure, you can replace with any fruit you like. Bluseberry is wonderful ! What is 橙皮蓉 in English? Is baking powder same as baking soda??? Both of them are very similar, acting as leavening agents. Baking soda is in pure form, while baking powder contains baking soda with premixed acidic ingredient. Would u mind telling me what is the purpose of corn flour in the recipe? Coz it's my first time seeing it in a muffin recipe. 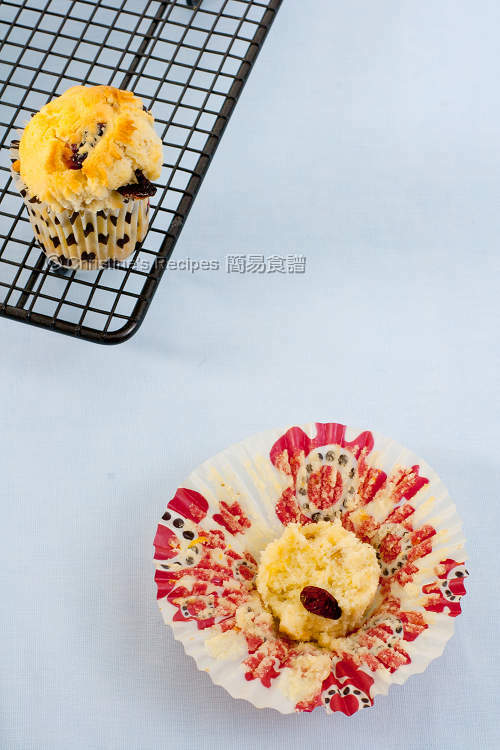 And is it just for this particular muffin recipe or it's good to have some in other favoring recipe as well?? And somehow the muffins I made were far too crumbles... That I can't take it out from the muffin tin!!! Any suggestion why?? 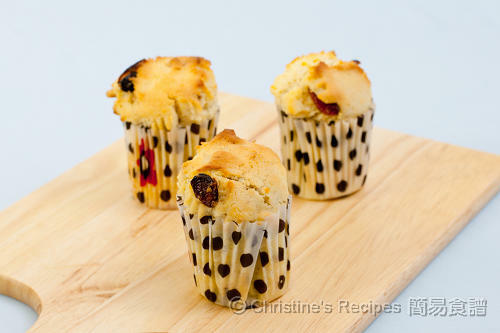 Did you follow my recipe to make your muffins? 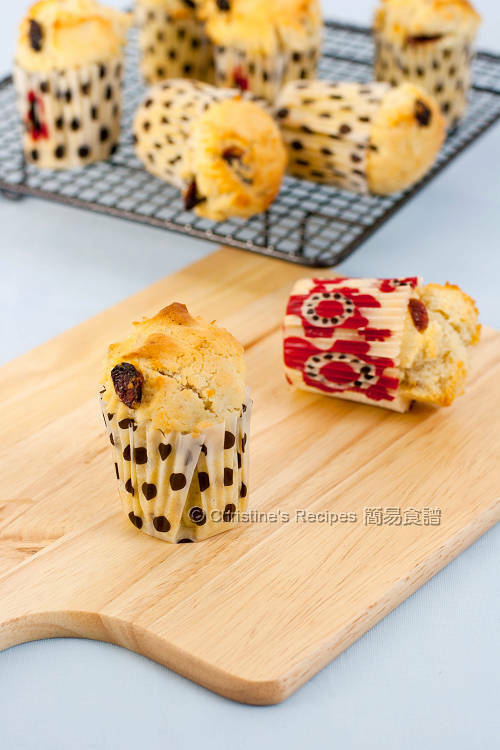 The cornflour yielded in this recipe is to help produce softer texture.